Art Blakey was the founding member of one of the most important collectives in jazz history, The Jazz Messengers. Art Blakey & The Jazz Messengers included such luminaries as Clifford Brown, Lou Donaldson, Benny Golson, Bobby Timmons, Kenny Dorham and more. 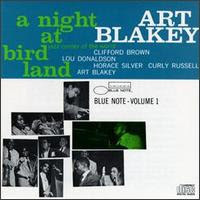 Art Blakey's band also helped launch the careers of more recent artists such as Wynton Marsalis, Branford Marsalis, Mulgrew Miller and Terence Blanchard. Art Blakey was a ferocious drummer who allowed his fellow band members to also rise above the chords they are playing. Art Blakey not only personified this image, he was the benchmark of great drummers as well as band leaders. All of his groups explored different styles including African rhythms, hard bop and standards. 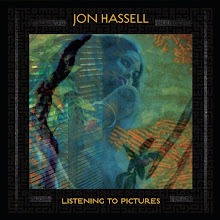 As with many of the jazz musicians of his stature they have recorded a large body of work so it is often a daunting task as to where to start your listening journey. In the case of Art Blakey & The Jazz Messengers there isn't a really satisfying collection; I would highly recommend any of the live albums from any period. The various line ups may differ but raw emotion of the performances stays true to Blakey's vision of a high energy, free flowing gig. My three personal favorites are A Night At Birdland Vol. 1 and 2 (Blue Note), Meet You At The Jazz Corner Of The World (Blue Note) and The Complete Concert At St. Germain (Gambit). All were record in a short period ('54-'58) but with completely different groups which gives you a great insight into each musician and the sets that were played. If you ever wondered why the name Art Blakey is so revered in jazz music these are good starting points. Below is a smokin' performance of "A Night In Tunisia" (written by Dizzy Gillespie).